KVM (Kernel Virtualization Module) is an open source, popular and efficient virtualization technology provided by Linux kernel. Virtualization creates virtual ram, devices, disks, CPU’s, networks etc. 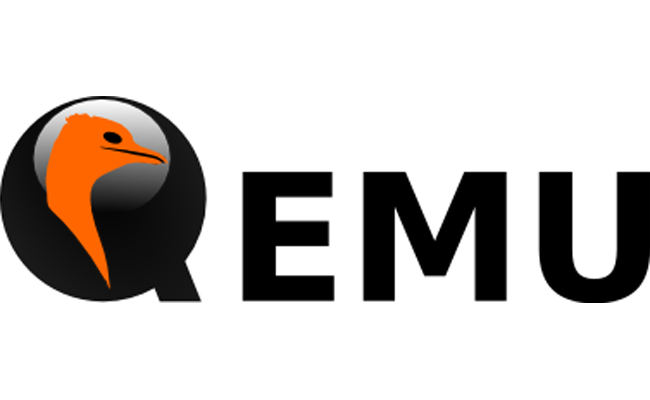 Qemu is the user space tool used to provide these to the kernel level virtualization tool KVM. Disk is one of the most important device in the virtual systems. Qemu-img is the tool used to create, manage, convert shrink etc. the disk images of virtual machines. We can get help about the qemu-img command with the -h option. Syntax of the qemu-img command is like below. Virtual Machines or simply VM’s runs operating system and user level tools like normal PC. Operating system and user level tools are stored in disk image files like physical disks. Generally all VM’s uses one disk image file to read and write data. We will use create command to create a disk image. In the example the disk image name will be ubuntu.img . We will provide disk size after disk name which is 10G in gigabyte. After disk image create some information is provided. The disk image format is raw and size is expressed as byte. We will look image formats below. Disk image actual size is 0 because there is no data in it but the vm will see disk image as 10G disk and will be able to use up to 10G. As stated before qemu supports different type of disk image formats. Disk image format is different than file systems. Disk image format is related with the host system. Raw is default format if no specific format is specified while creating disk images. Raw disk images do not have special features like compression, snapshot etc. Best thing about raw disk image is performance. Raw disk images are faster than other disk image types. Qcow2 is opensource format developed against Vmdk and Vdi. Qcow2 provides features like compression, snapshot, backing file etc. It is popular in the Kvm, Qemu community. Qed is a disk format provided by Qemu. It provides support for overlay and sparse images. Performance of Qed is better than Qcow2 . Qcow is predecessor of the Qcow2. Vps is format used by first generation Microsoft Virtualization tool named Virtual PC. It is not actively developed right now. We can create qcow image with the -f option. We will also provide the disk size as an option. As you remember in the first example we have specified the disk size at the and of the command. Now we will set disk size with -o size option. In the example we create a qcow2 formatted disk image named ubuntu.img with the size of 10GB . LEARN MORE How To Raid In Linux With Mdadm? In this example we will create an vmdk disk image. We will set disk file name as ubuntu.vmdk . But the extension vmdk do not have an effect on the disk image type. We will also set disk image size 20GB with -o size option. After some usage disk image file sizes grows. Even we delete files in the vm the size in the host system remains the same. Because the host system do not know how much and which part of the disk image file is unused. Shrink is done with convert command and copying existing disk image in to new one. In the example we will shrink disk image file named ubuntu.qcow2 into ubuntu_s.qcow2 . Another useful feature of the qemu-img is disk compression. Compressing disk images will make more space for other VMs. But keep in mind compression will little performance loss. We will use convert command to compress. In the example we will compress disk image file ubuntu.qcow2 into new file named ubuntu_c.qcow2 with -c option. This may take some time according to disk image file size and disk performance of the host system. Sometime while working with VM’s and disk images there can be errors. With qemu-img command these errors can be fixed. We will use check command for this operation. In this example we will provide disk image file name with the check command. Disk image format can be omitted because in most situations it is detected automatically. While creating disk image files we generally give small amount of disk. But this may become problem in the feature as unexpectedly. We may need to increase the disk image file size. We will use resize command in order to increase disk size.In the example we will add extra 5GB to the disk image file named ubuntu.qcow2 .